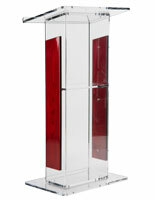 These floor lecturns with rubber feet are the ideal presentation accessory. 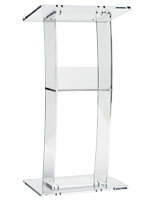 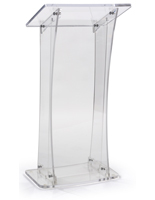 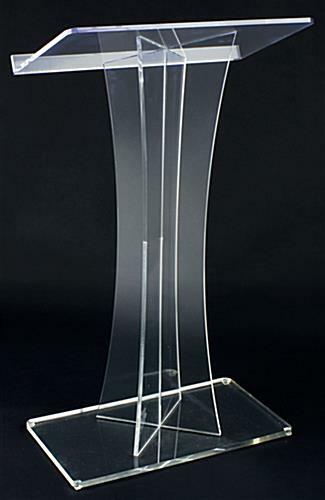 Each 46" tall podium is crafted from durable plexiglass. 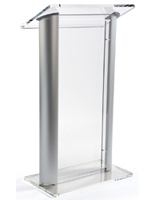 The clear lecturns have a shelf for holding printed materials like books, notes or a laptop or iPad. 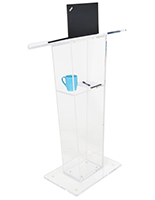 Each presentation stand is shipped fully assembled. 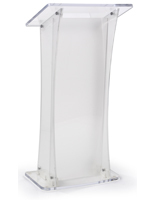 The lecturn's rubber feet keep the base in place and stable. 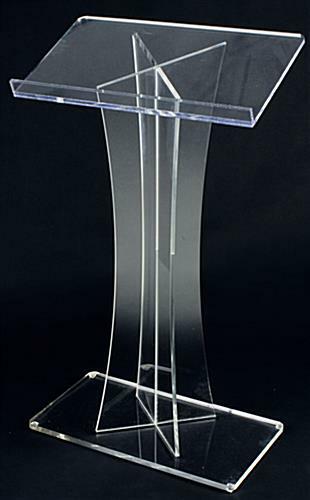 Order for your upcoming meeting or lecture today! 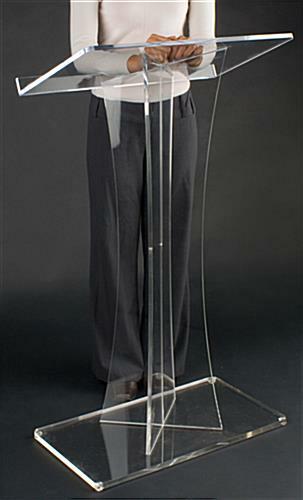 26.6" x 46.3" x 46.1"